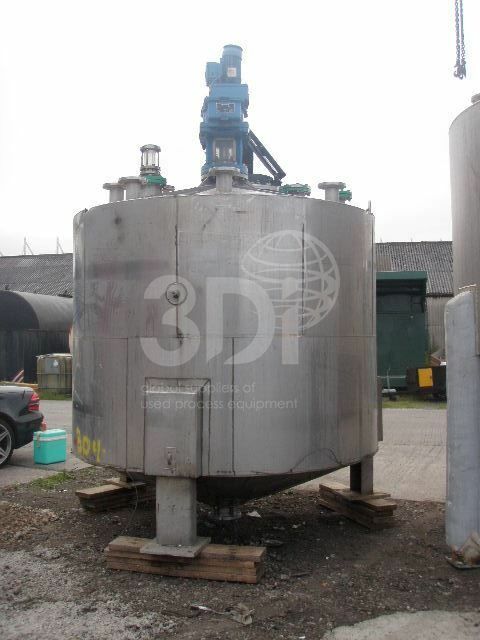 Used 10,000 Litre Stainless Steel Mixing Vessel, manufactured by Bibbys of Halifax, 2007. Material of construction: 316L Stainless Steel. Vessel thickness: 4mm shell, 5mm cones. Orientation: vertical, cylindrical, coned top & bottom, on legs. 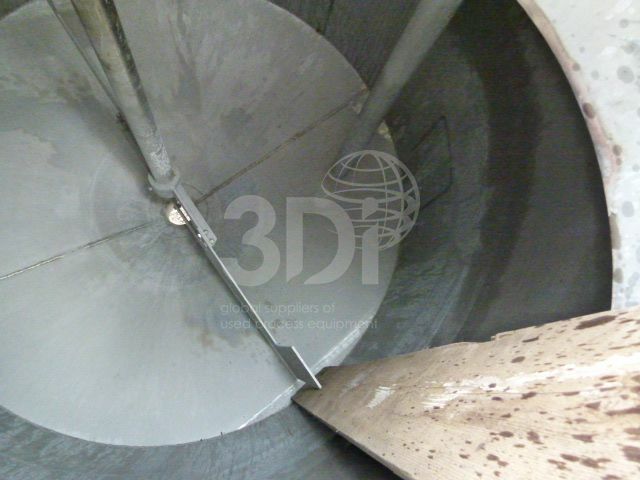 Dimensions: 2440mm internal dia, 1880mm on the straight, 487mm bottom cone. Design data: design pressure 0.06 bar, design temperature -10/+60degC. Working Volume: 9,000 Litres. Complete with Chemineer agitator and drive powered by a 1.5kw electric motor (20rpm). 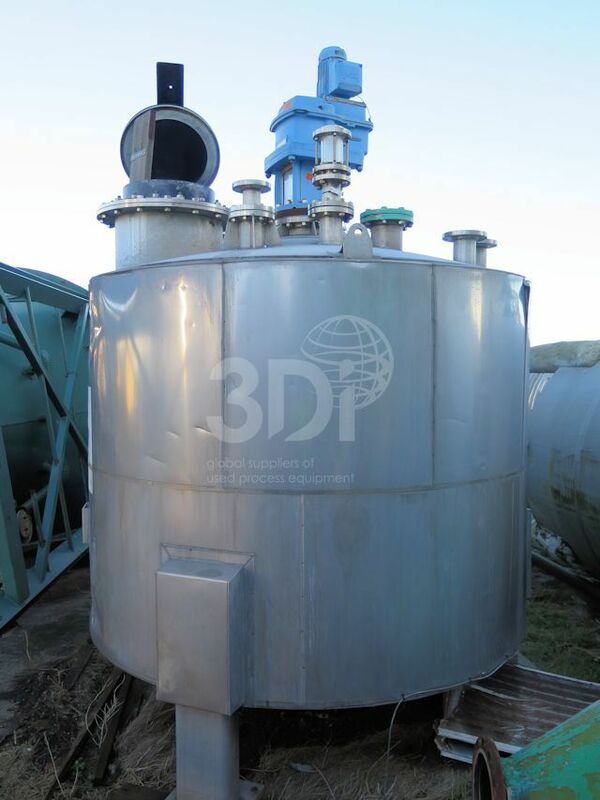 Previously used to mix chemicals.